I really hate cropping people out of photos. I don't know...it's something about it that makes me feel bad. Like I'm being selfish for only wanting myself in the photo. I know it ain't that deep but that's how I feel when I crop folx out. LOL!! But I can't help it if some of the best photos of my hair (and me, I guess) have other folx in them. I was on Facebook (ugh) and saw that my sisters put up photos from our Bahamas vacation. You can see more approved by B photos here. While most of the "taken my sisters" photos SUCKED (as in I looked fat, haha) a few of them are aight. Especially the ones of the locs. This is one of my favorite looks. Took two seconds and it always looked so elegant and simple. If I was feeling super pretty, I would add some loc jewels to the back of the bun. Whoa!! Wild and crazy and stickin' up somethin' serious. 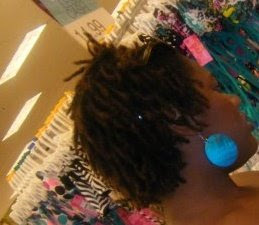 The locs had gone through daily washings and still managed to "hang in there" . They kinda look like REAL locs in this photo. Just wanted to post some "locs in action" photos. 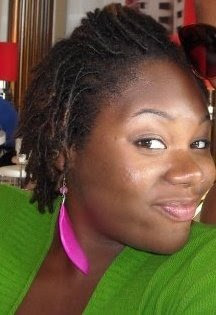 the locs are coming along sooo nicely!